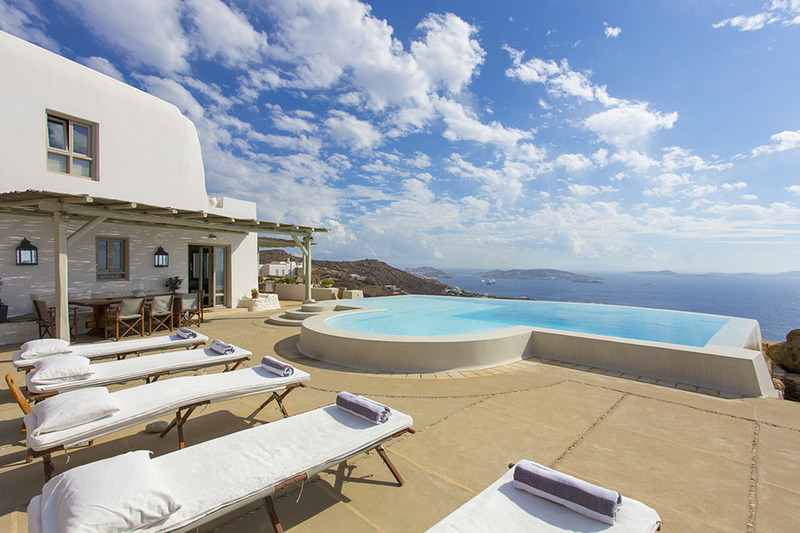 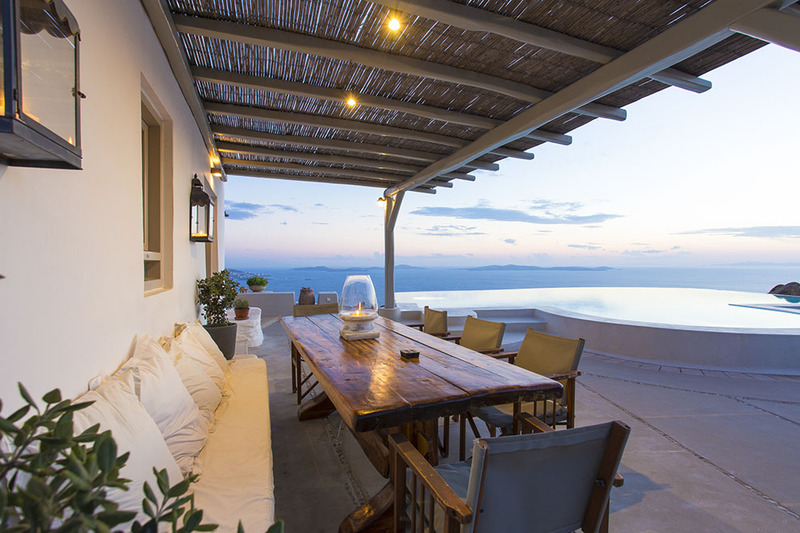 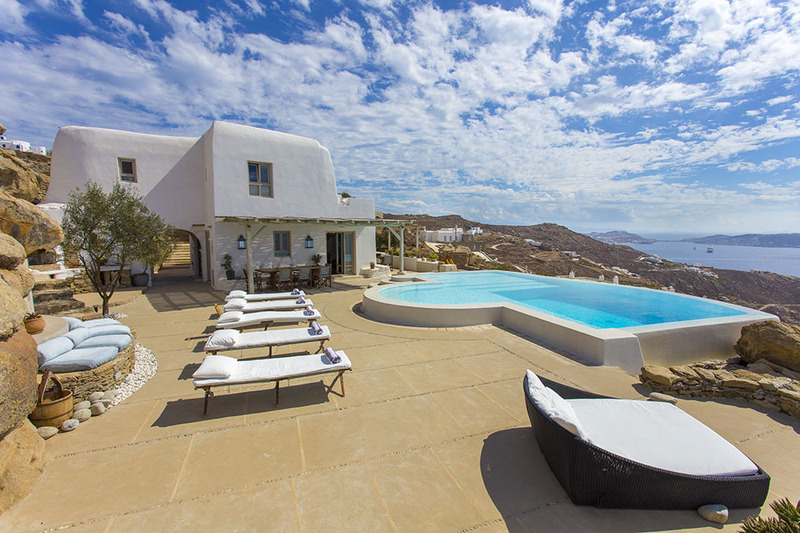 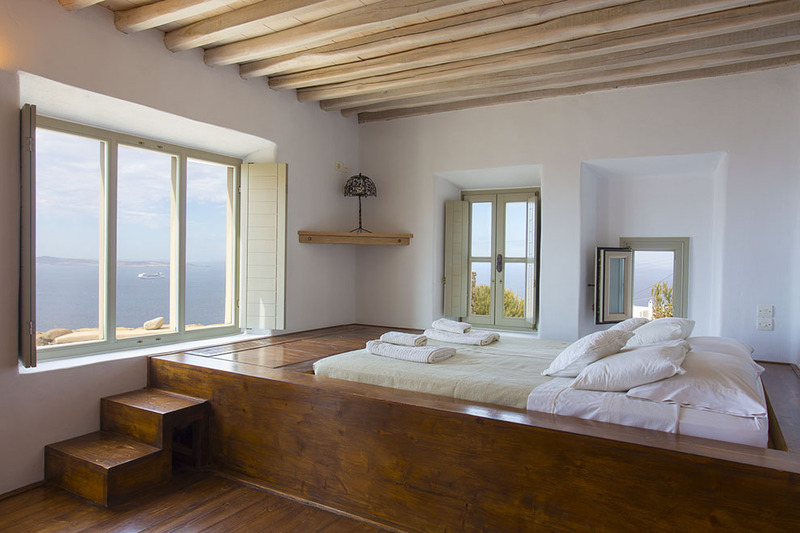 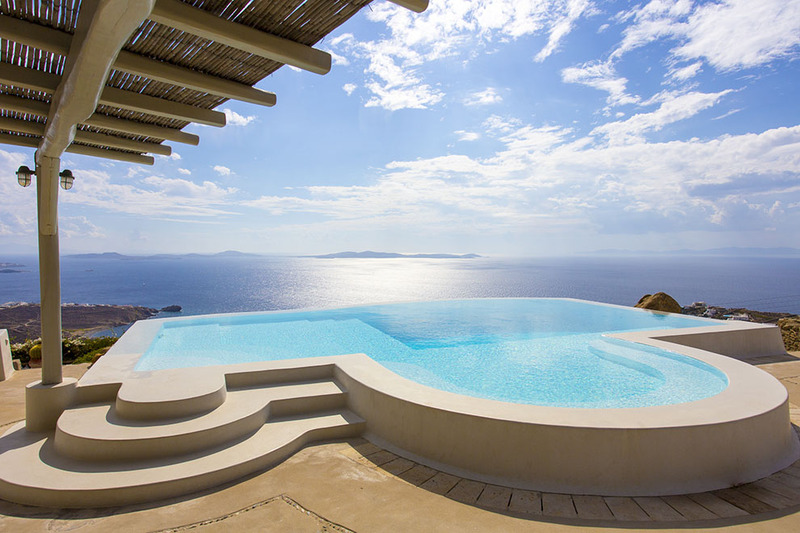 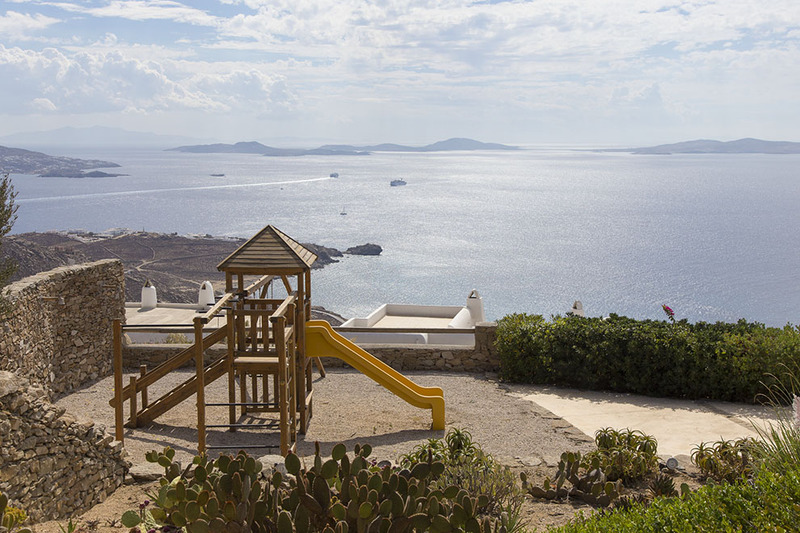 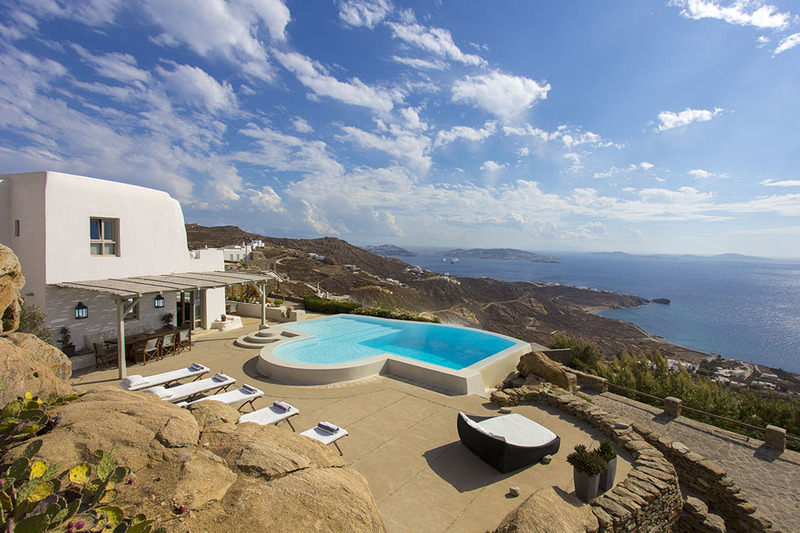 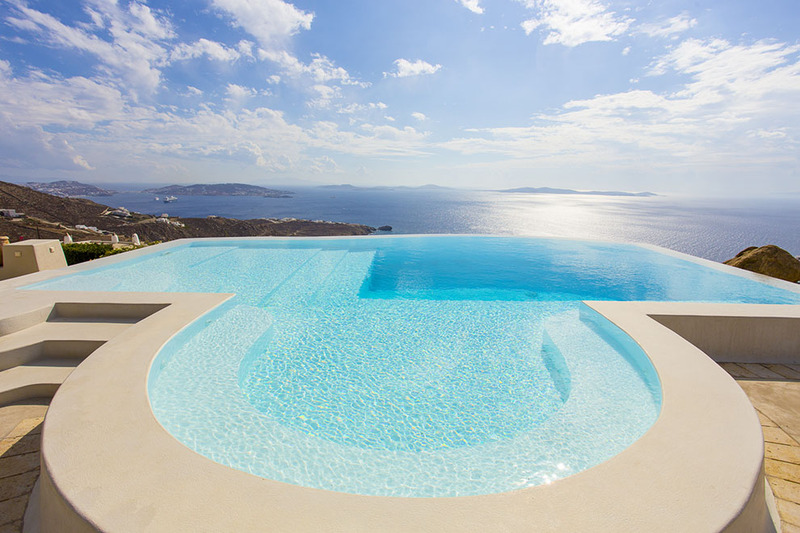 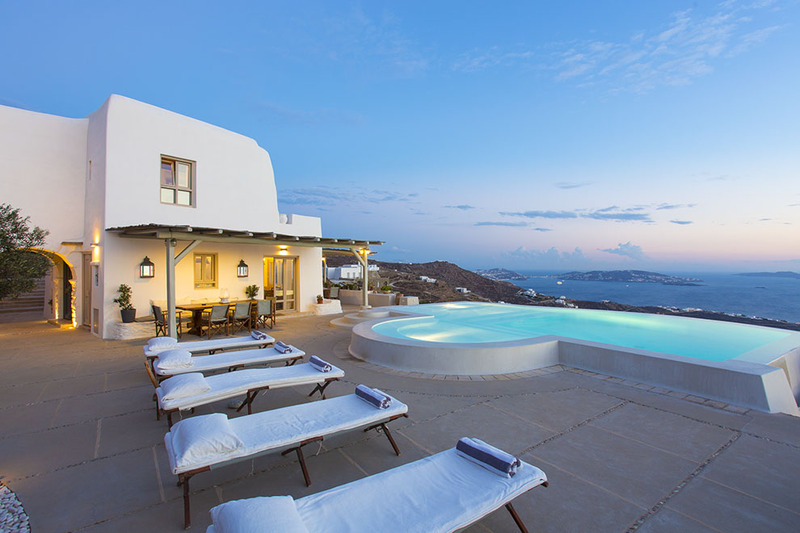 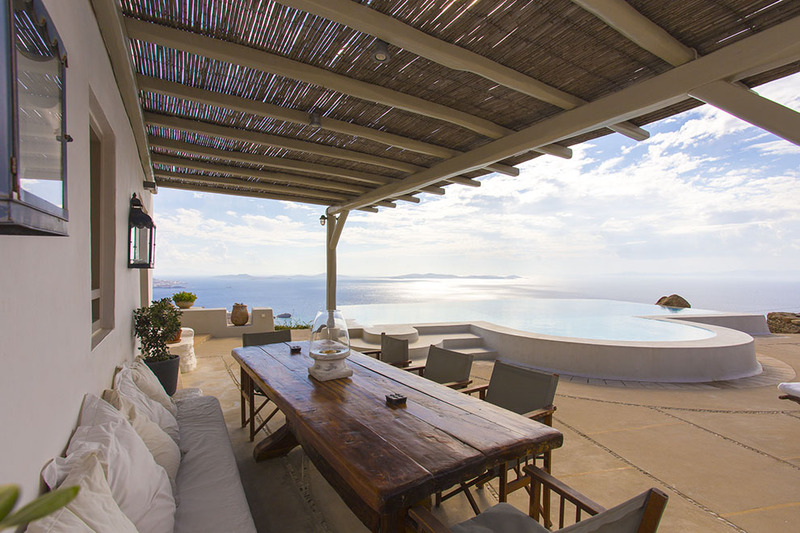 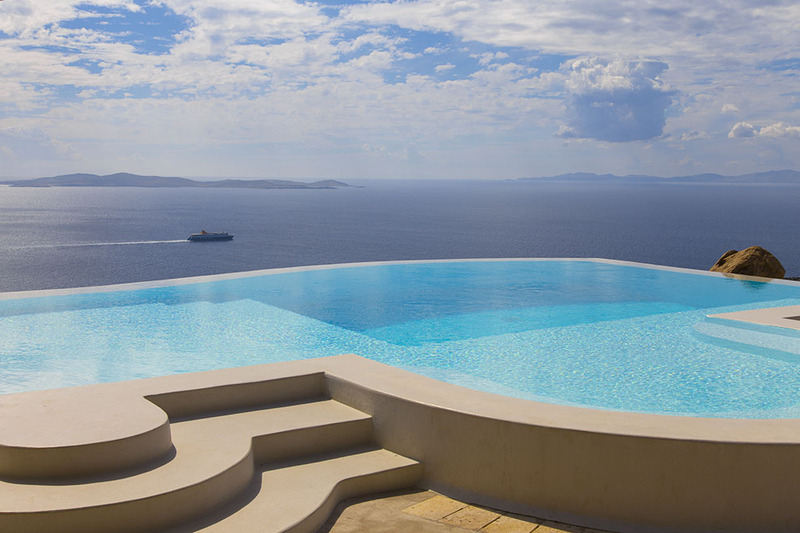 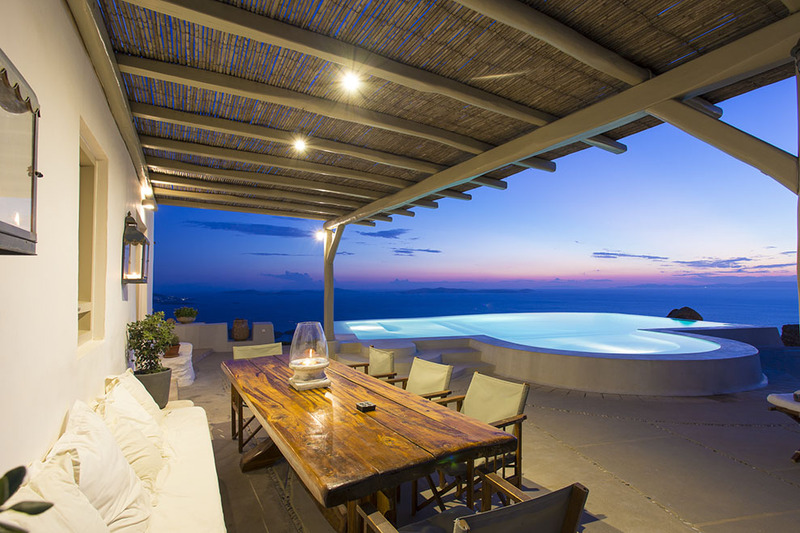 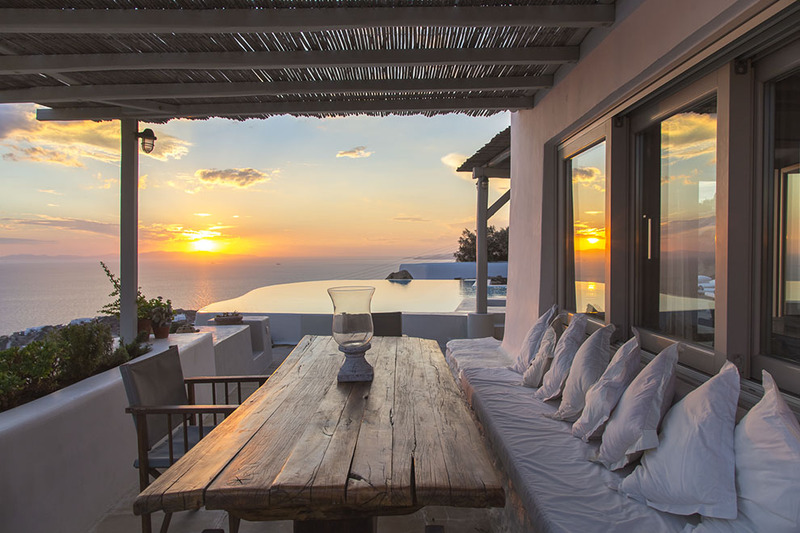 Located in the tranquil area of Fanari, Villa “Euphoria“ offers one of the most breathtaking views to the Aegean sea, the islands of Tinos, Syros, ancient islands of Delos and Rhenia and to the magnificent Mykonian sunsets. 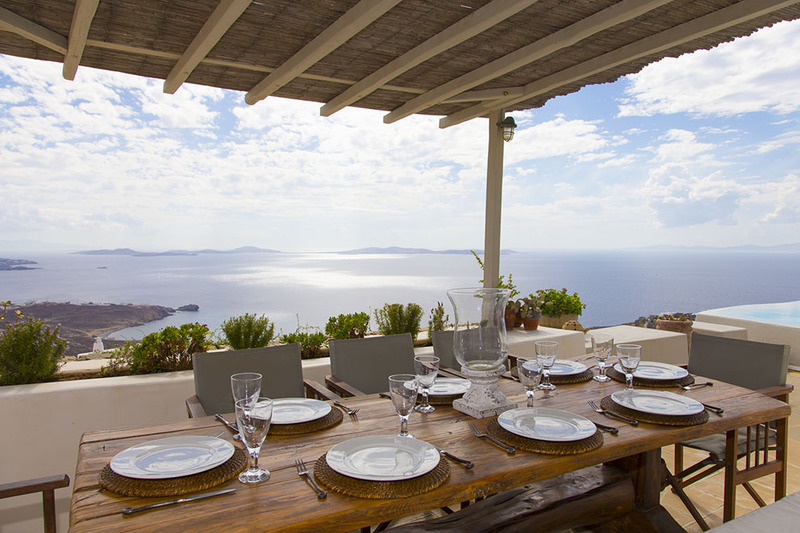 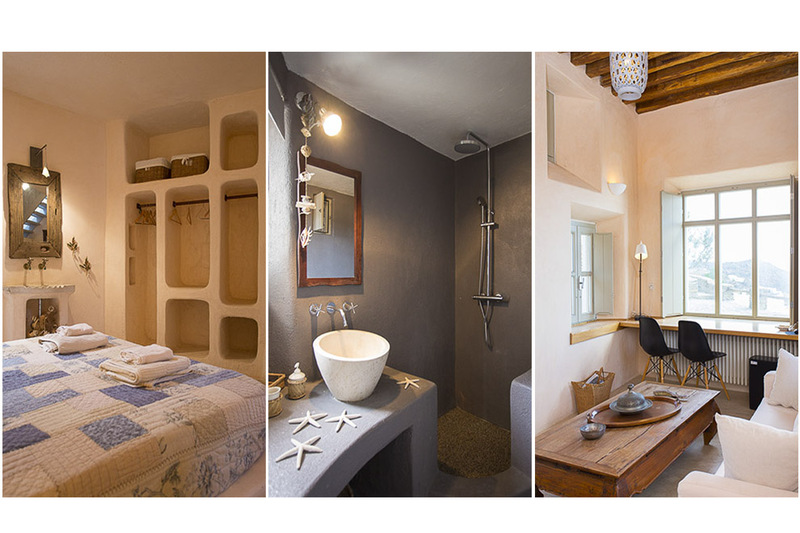 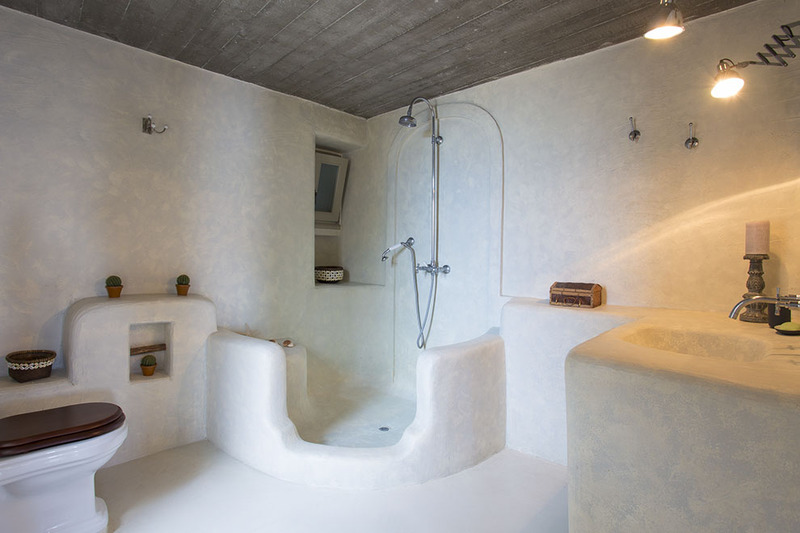 Villa “Euphoria“ is located at a very privileged area offering total privacy and tranquility to the guests. 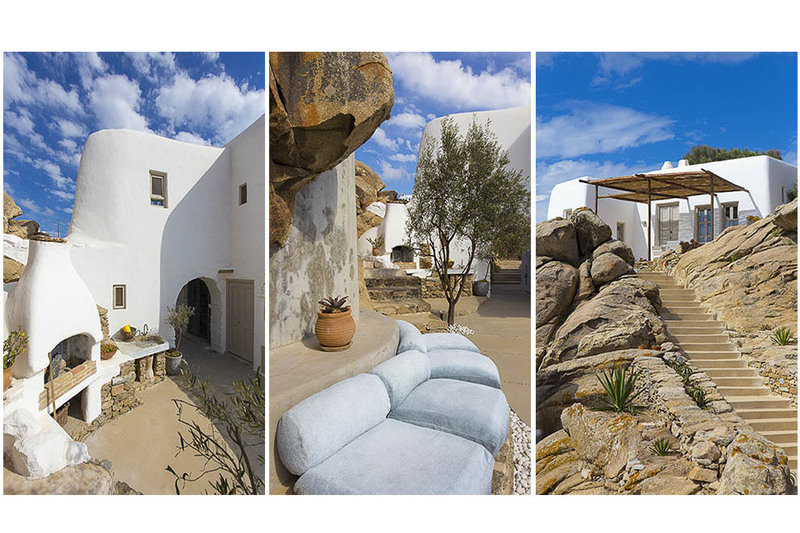 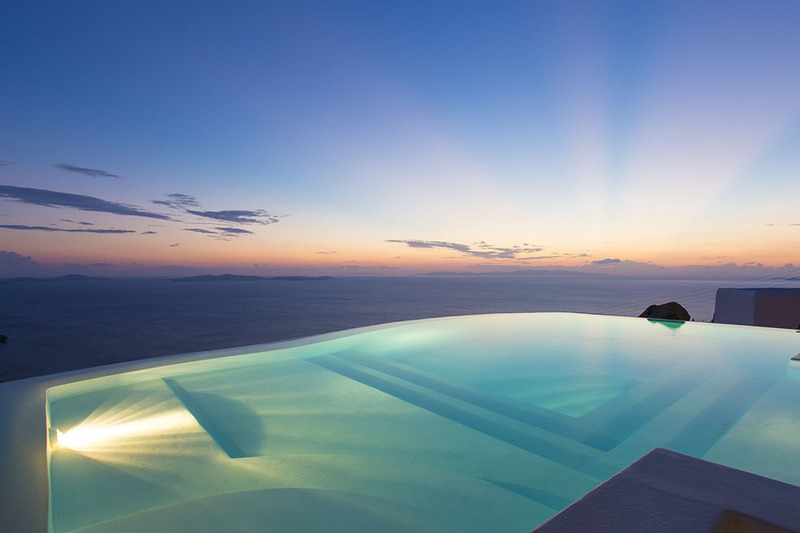 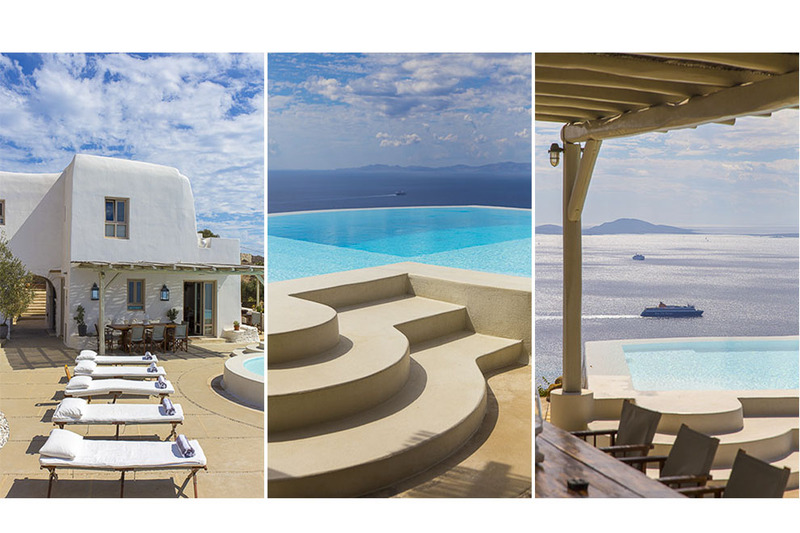 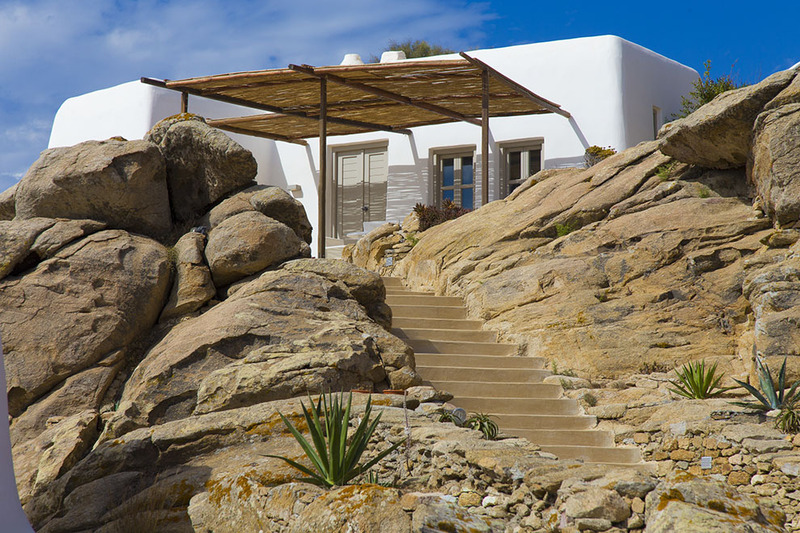 The architectural design impresses with the harmonious coexistence between the traditional and the modern architecture of Mykonos. 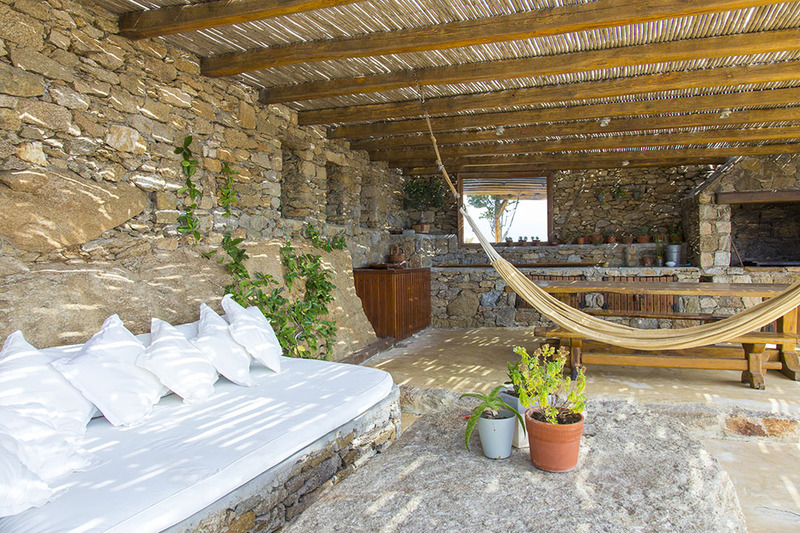 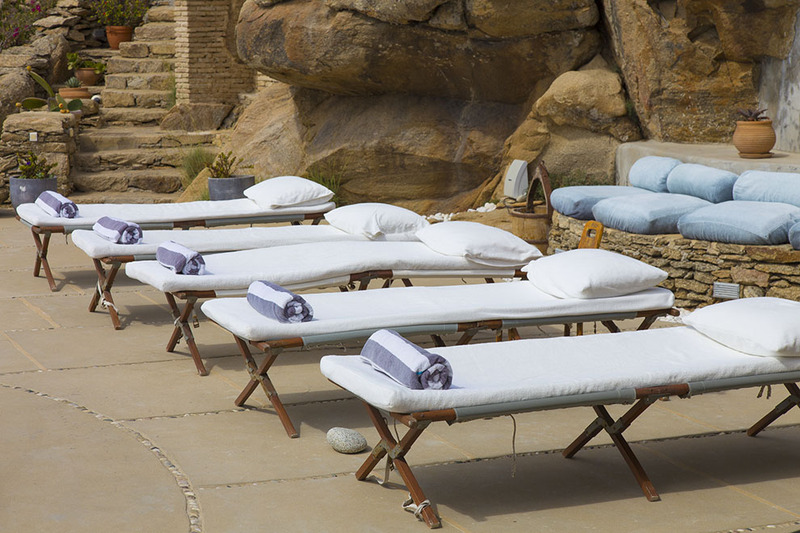 A romantic atmosphere is creating around the numerous terraces, which are connected by different stone paths that end up to the villa’s three parts, the main house and two independent guesthouses. 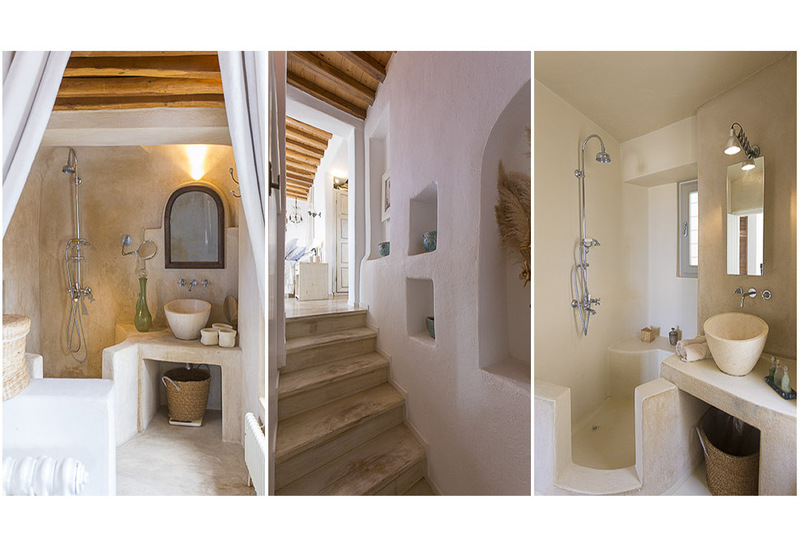 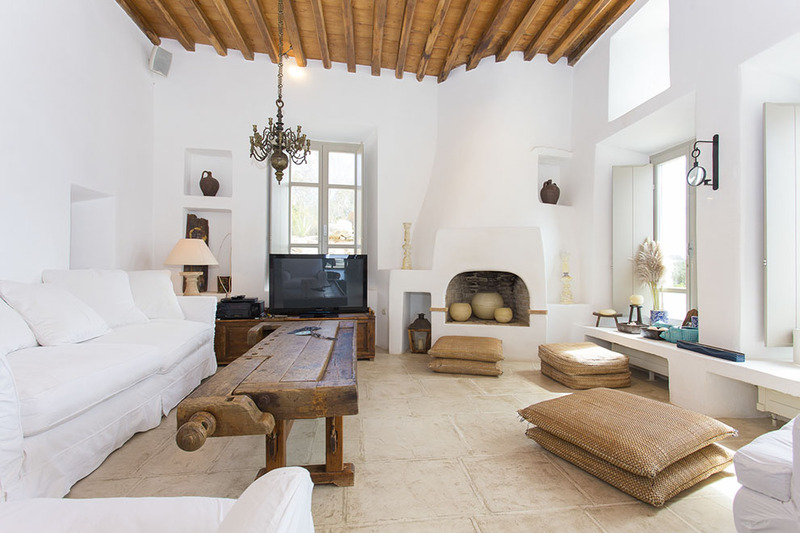 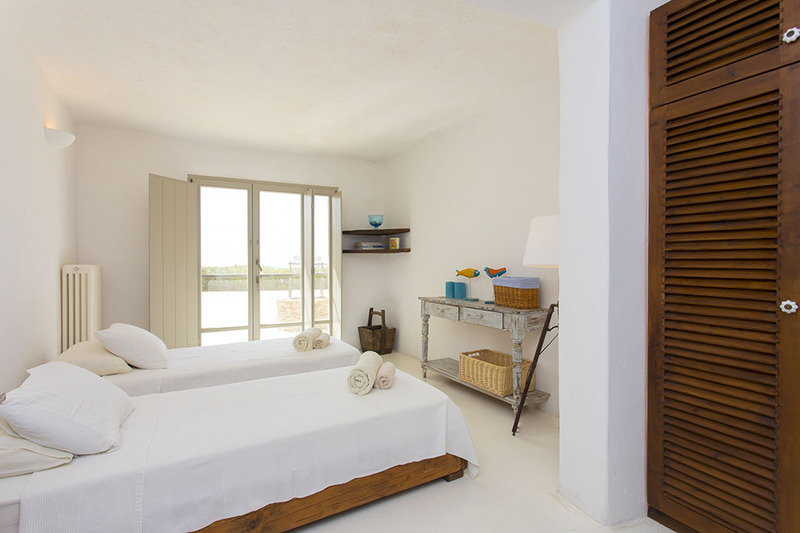 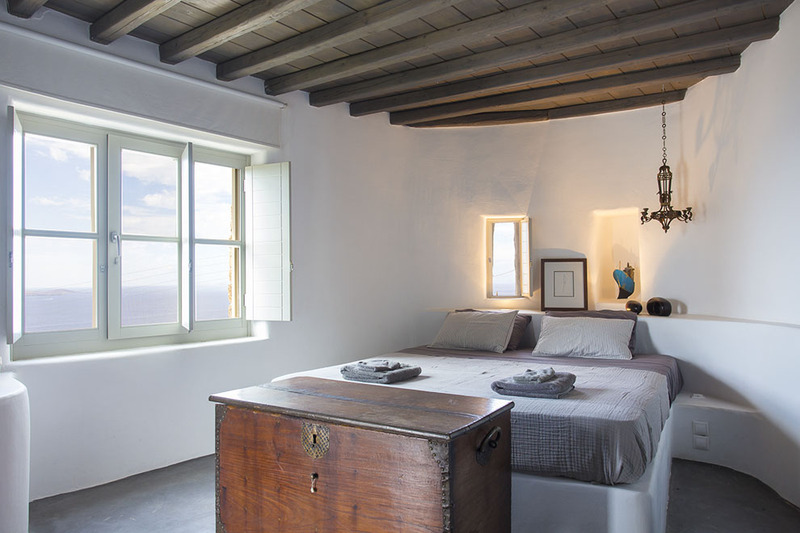 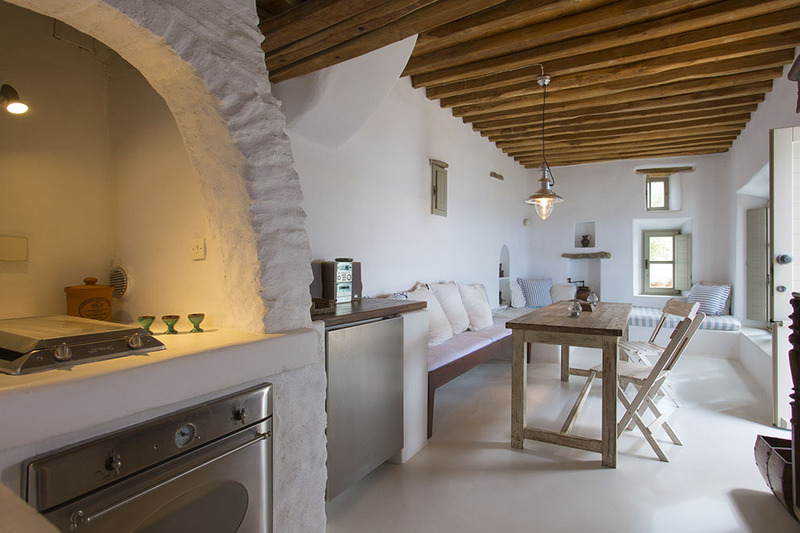 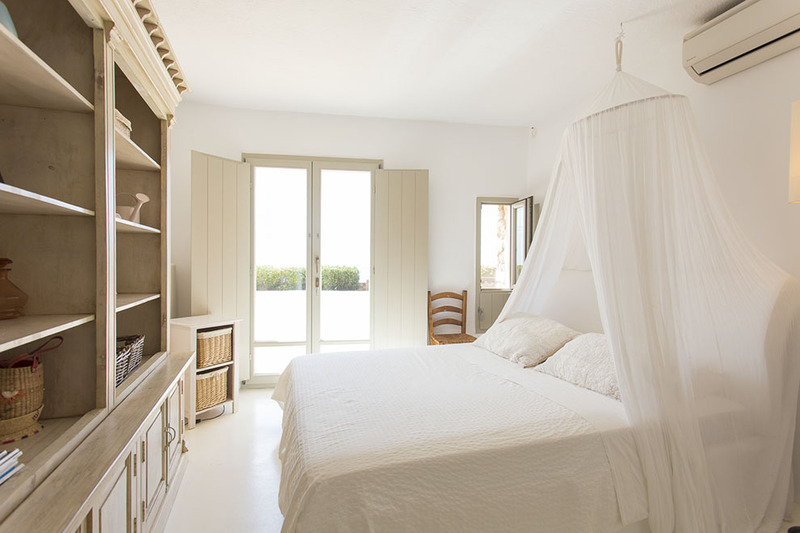 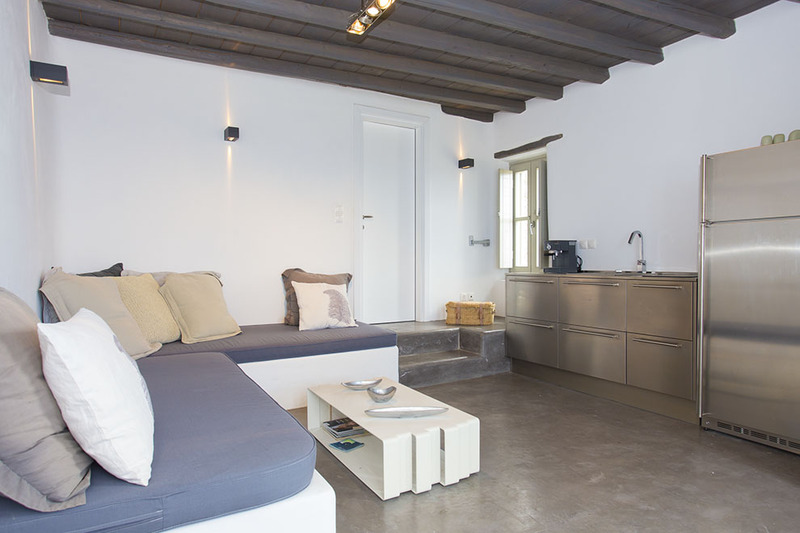 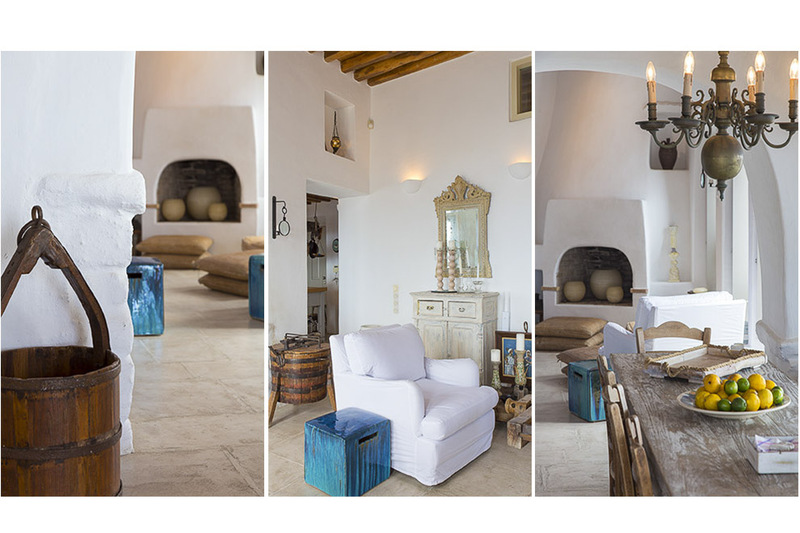 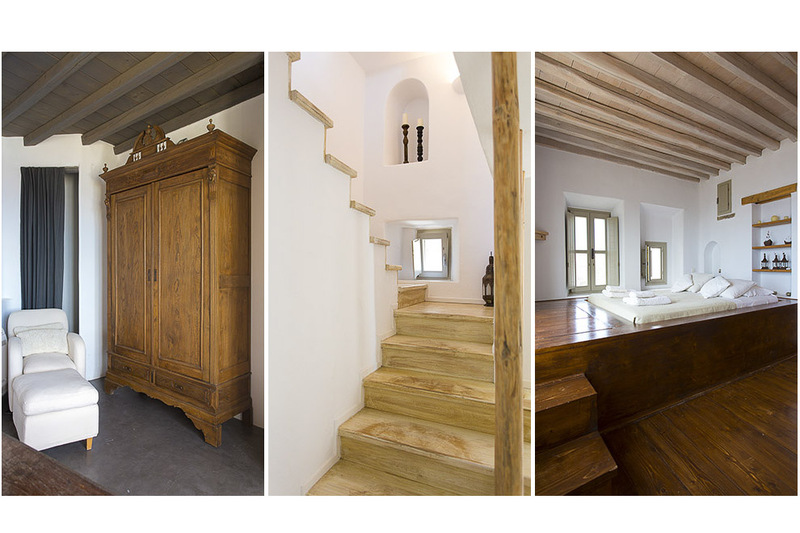 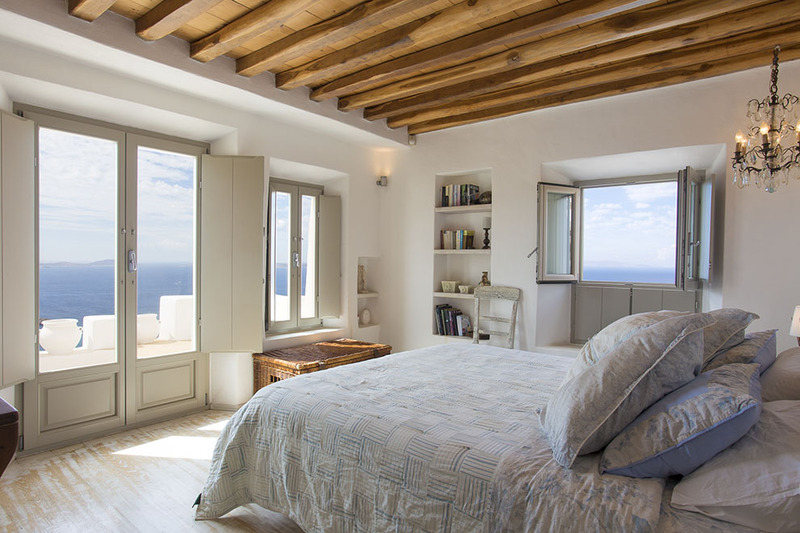 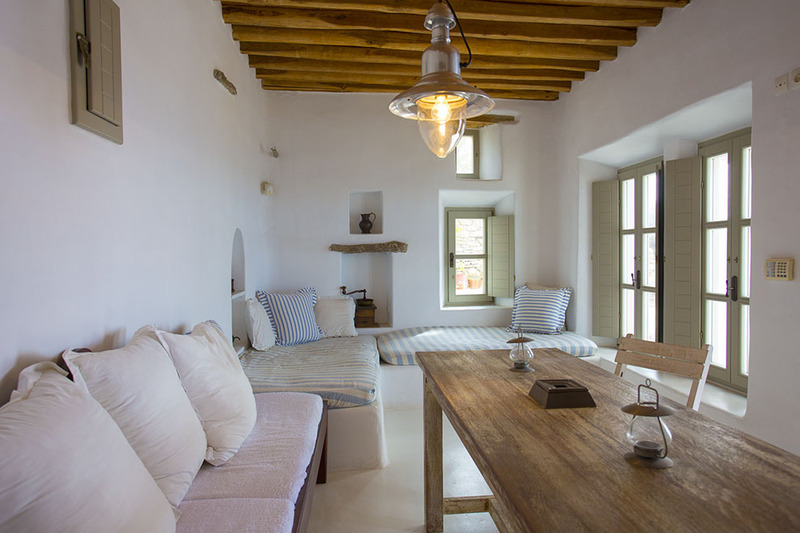 The interior of this Mykonos Villa impresses with its quality, elegance and its carefully selected furnishing mixed the traditional style with the country one and the combination is really attractive. 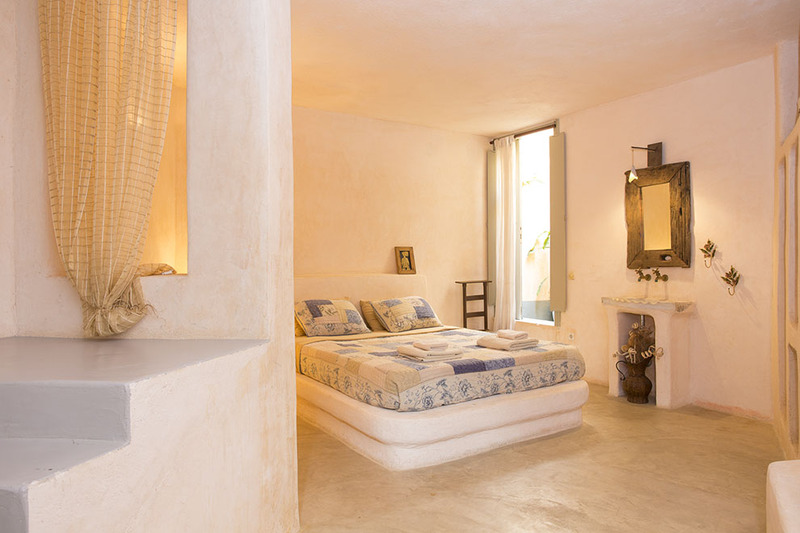 Charming paintings on the walls, sculptures, unique antique artifacts, cozy furniture dominate all the spaces and rooms inside the villa. 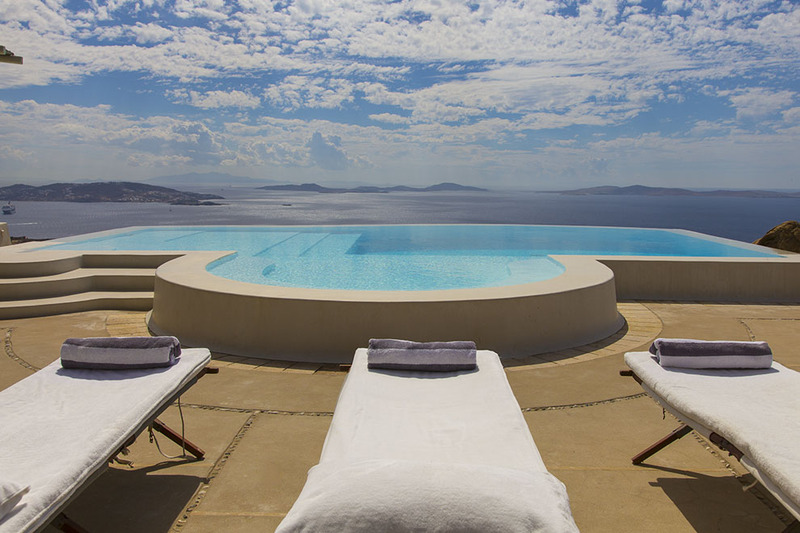 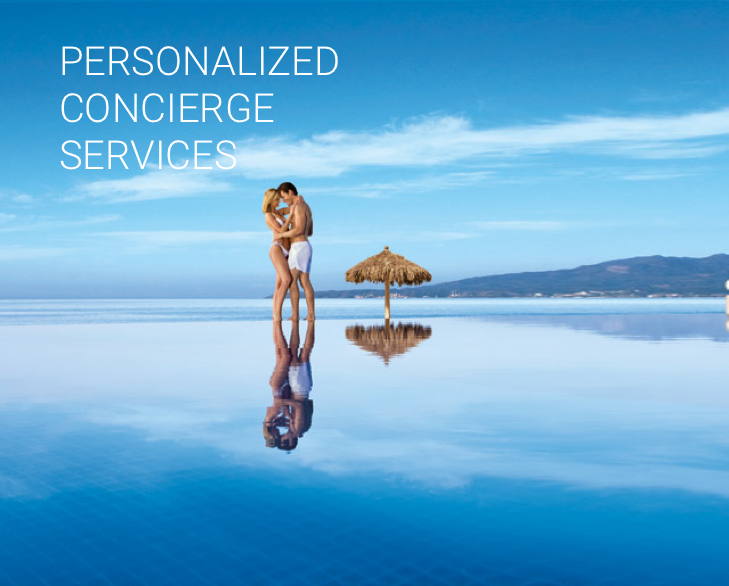 In the grounds, the exceptional infinity pool with its unique shape calm the senses and offers pleasure to the eyes, while the outstanding terraces and the comfortable seating areas compose an environment of absolute spaciousness and elegant luxury. 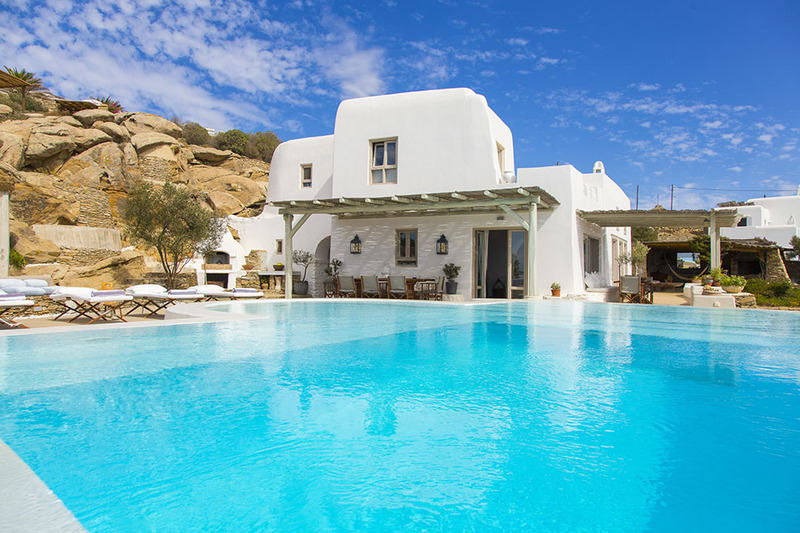 The charming Villa “Euphoria“ is a lifetime experience, which in combination with its amazing location, guarantees unparalleled moments of relaxation, comfort and hospitality.